This is absolutely brilliant in my opinion. My pots and pans are a mess, what a great way to stay organized! Check out this great time on Better Homes and Gardens. 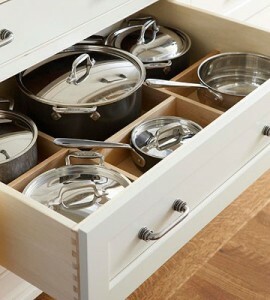 I love how organized the pots & pans are!!! No searching for a lids everything is easy to find!! !